The McNeel Mill at Mill Point, which is being restored today by local resident Matt Tate, 150 years after it was first constructed in this once bustling little West Virginia mountain town. 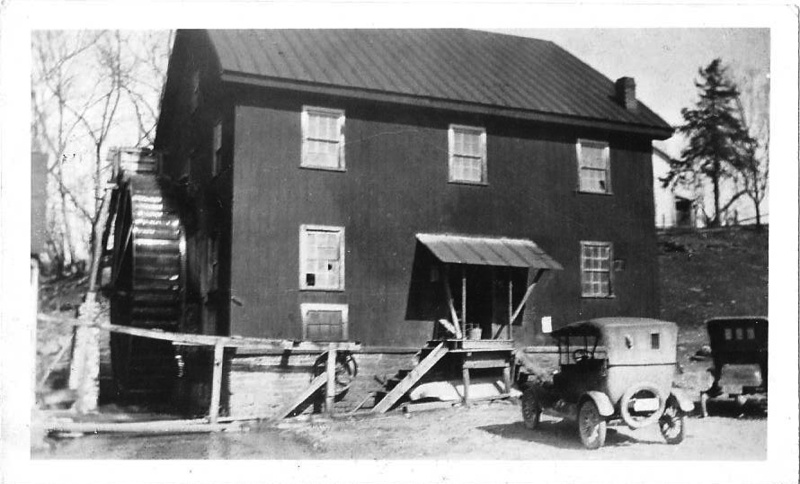 If you’ve driven U.S. Route 219 through Mill Point,you’ve probably seen the old McNeel Mill, which has stood down on Stamping Creek since the 1860s. As the center of commerce for many rural communities, the mill would be one of the first places to gather information and exchange news. Today, most of the mills of the past are gone, made obsolete by industrialization and large-scale industry. Those that have been restored often don’t use their original water source, but instead rely on electric pumps to turn the old wheels. In Mill Point, Matt Tate has been working to not only preserve its mill, but restore it to be able to take water from Stompin’ Creek and grind grain once again. Caption on this photo reads “Isaac McNeel, Valentin Cackley, [2 other names which are illegible]. 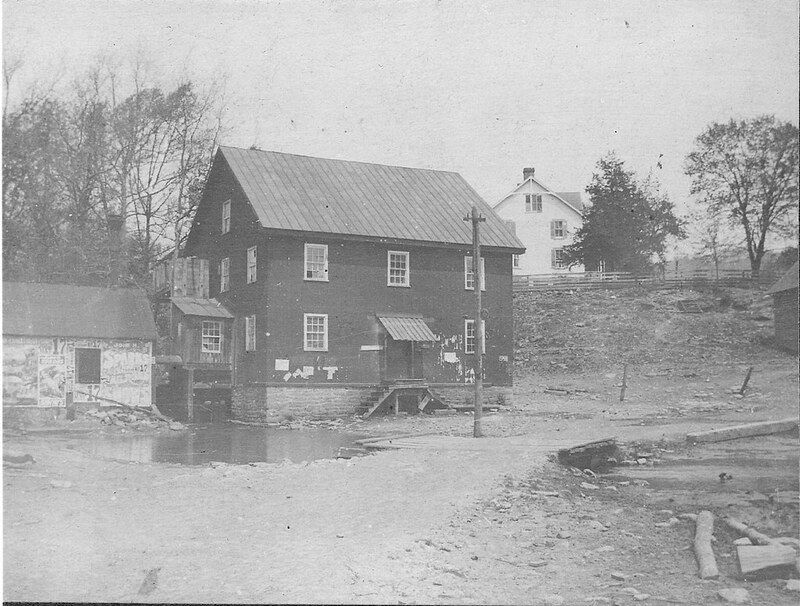 Late 1800’s, McNeel Mill at Mill Point, WV. This picture shows the mill before it had a water ‘wheel’. It is shown here with the wooden trunken ‘dropping’ the water onto a turbine, thus turning it and ‘running’ the mill. Isaac McNeel (standing on the left) was owner of the mill. He was also the Great-Grandson of Pioneer John McNeel. -Joe McNeel.” Photo courtesy of Lanty McNeel. Isaac McNeel (pictured below), was born in 1830. He was the great-grandson of “Pioneer” John McNeel, one of the first white settlers in the Little Levels area of Pocahontas County, which is the current location of Hillsboro and Mill Point. In the 1860s Isaac built the McNeel Mill. In the 1870s, Isaac became postmaster of Mill Point. Isaac McNeel, who built the mill in the 1860s. The old Auldridge Store is in the background of this photo. Photo from the collection of Lanty McNeel. “According to the late Joe McNeel, who owned the McNeel Mill until his death, the mill stones were imported from France and were used to grind the cornmeal, cracked corn and buckwheat. The stones weighed a thousand to 1500 ounds and had to be sharpened every two years with a special chisel as the grooves had to be precise. It took 1 ½ minutes to make a revolution. If it went too fast it scorched the meal. A water box over the wheel fed the right amount of water, directing the excess over the side. A gate at the race also regulated the flow of water. McNeel Mill, ca. 1910s. Photo courtesy of Lanty McNeel. 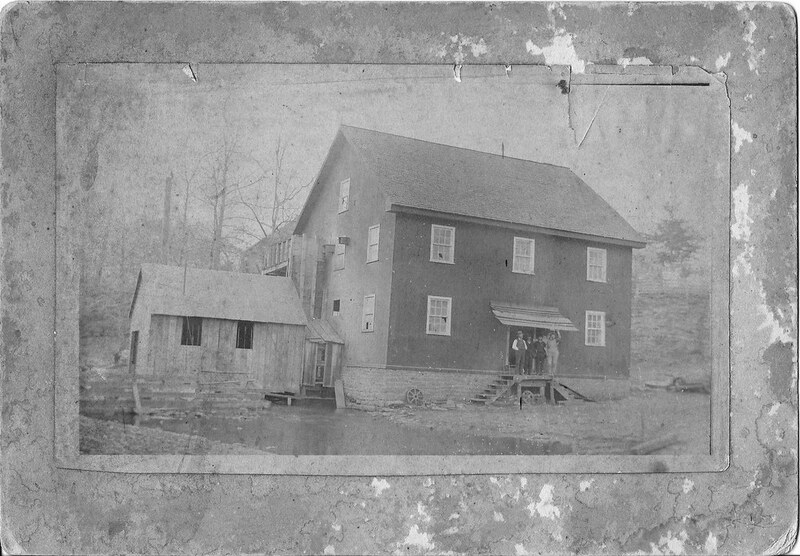 McNeel Mill before U.S. Route 219, date unknown. Note dirt road and bridge is much lower than current road. Courtesy of Lanty McNeel. Picture was taken before U.S. Rt. 219 was built. House on knoll behind mill was Isaac McNeel and his wife Miriam Nance (Beard) McNeel’s house. The building on the right of the picture is the old Doctor’s Office. The blacksmith shop stood at left of picture and left of road, but is not in this picture. Panorama of Mill Point. Mill and Stamping Creek at left. Isaac McNeel house on top of hill, center right. Photo courtesy of Lanty McNeel.